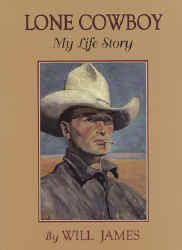 This classic collection of eight cowboy stories is available in a new edition for the first time in decades. Cowboys North and South showcases Will James' great talent for capturing the lifestyle and picturesque vernacular of the American cowboy. 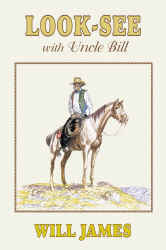 Seven stories revolving around the adventures of a lanky cowboy named Bill whose drifting takes him throughout the West as he lives the hard life of working cowboy. 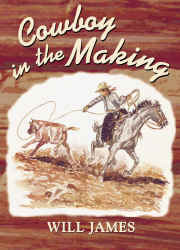 In language that truly evokes the Wild West, Smoky the Cowhorse brings to life one horse's story, from his birth on the open range through his "breaking" to Smoky's "other" lives as an outlaw rodeo star and saddle horse. A Newbery Medal Book. 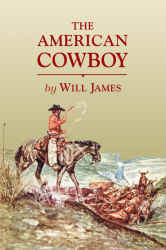 In these eight stories, Will James brings to life the weather-hardened cowboys who worked and lived on the range. Each story features Will James' pen-and-ink and charcoal drawings. At the heart of this novel is the hero's long duel with a magnificent wild stallion and how "the little grain of sand within him" starts to grow. 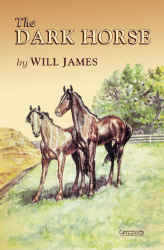 Once on the New York Times non-fiction best seller list, this fictionalized autobiography is often mistaken for the real life story of Will James. 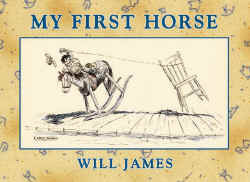 It tells of a childhood in the wild west leading to the life of Will James. 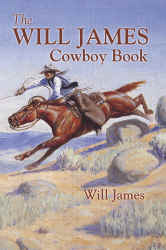 This collection of sixteen cowboy stories includes some of James' best stories from his previous work along with seven original stories, all accompanied by the author's lively illustrations. 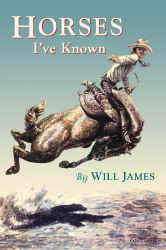 Here are tales of cowboys growing up, learning the ropes, proving their mettle, even falling in love, each told in the inimitable, colorful style of Will James. 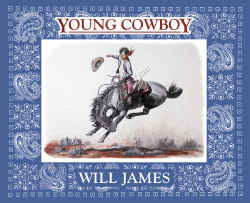 With his down-to-earth prose and charming illustrations, Will James captures the spirit of a young cowboy and of the American West itself in this fine coming-of-age novel. 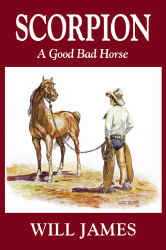 Big-Enough is the story of a boy and a horse, born on the same day, who together grow "Big-Enough for most anything." It's a delightful tale for readers of all ages. Ten-year-old Kip and his older sister Scootie spend a summer at the Five Barb Ranch, where the old cowboy known as Uncle Bill teaches them to ride and rope and take care of themselves wherever they are in cow country. 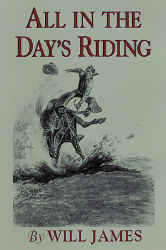 Each of All in the Day's Riding twelve chapters highlights a riding theme, from rodeos to round-ups. You'll read stories about drifting with the herd in a blizzard, Dusty's quest for the perfect horse, and the partnerships that form between cowboys and horses. 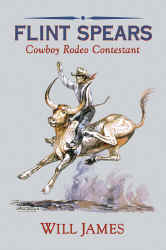 More than 100 illustrations enhance the text with horses bucking, crowhopping, cutting, and stampeding. Ride with Andy, Stub, and Hugh as they rope and wrangle their way into all sorts of adventures--and some trouble too! Old habits die hard for riders with outlaw ways, and when a range superintendent hires them to round up the orneriest mustangs in the country, they find a way to pad the numbers. With the money from the job, the mustangers start an honest ranch, but a crotchety cattleman crowds their turf--that is, until they set him straight with some tricks of their own. 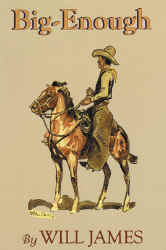 This fast-paced tale of riding, roping, and rustling is sure to set your spurs a-jingling for the frontier spirit of the Old West. Having gotten his first horse, Big-Enough, for his fourth birthday, Billy spends the next several years working hard to become a good, all-around cowboy on his father's ranch. 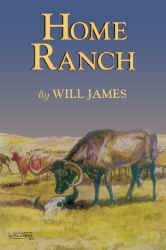 While visiting their Uncle Bill on his ranch, two city kids learn the ways of the western range. A young orphan boy finds companionship with his horses and an old trapper as they travel together through the Rocky Mountains of the Old West. While spending their summer vacation with Uncle Frank and Uncle Bill, two city children discover and begin to explore what seems to be an old gold mine shaft, but find that it is guarded by mountain lions.